Beginning from Windows 10 Build 10158 (official Windows Insider channel) or Windows 10 Build 10147 (unofficial leak channel), Windows Update requires the installed Windows 10 to be connected to a Microsoft Account (MSA), which is used to register for the Windows Insider Program, in order to continue to receive Windows Insider Preview builds for both Fast and Slow ring. The purpose of the association of the system with Microsoft Account is to ensure that only registered and opted in Windows Insiders are receiving the flight of preview builds, while also allowing seamless access to Windows Insider-only functionality in the Windows Feedback app and Insider Hub app too. As Windows 10 is released to the public soon, it’s inherently important to ensure that non-Insiders do not accidentally receive the preview builds. Thus if you’re using local account (not signing in to Microsoft Account) when setting up the device, chance is you will not see any new preview builds available, stating your device is up to date. 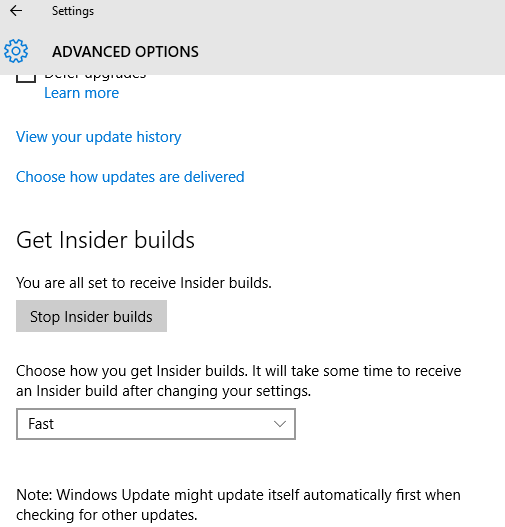 Instead, you’ll receive notifications from “Get Insider builds” that “Insider builds settings need attention”. To connect your Microsoft Account to Windows 10, click or tap on the Get Insider builds notification balloon tool-tip or from the Action Center (Notifications bar) to open the Advanced Options of Windows Update. Alternatively, click or tap on Start button and go to Settings, or open Action Center and select All settings, then go to Update & security -> Windows Update -> Advanced options. Under the “Get Insider builds” section, click or tap Fix me button. 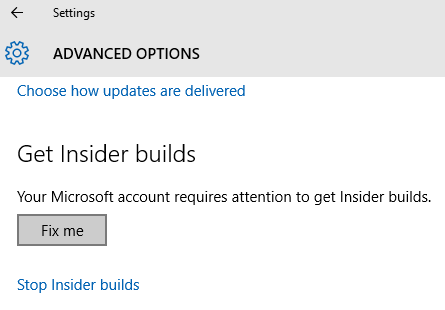 An “Insider Builds” window opens, asking you to connect a Microsoft account to your device to get Insider builds. 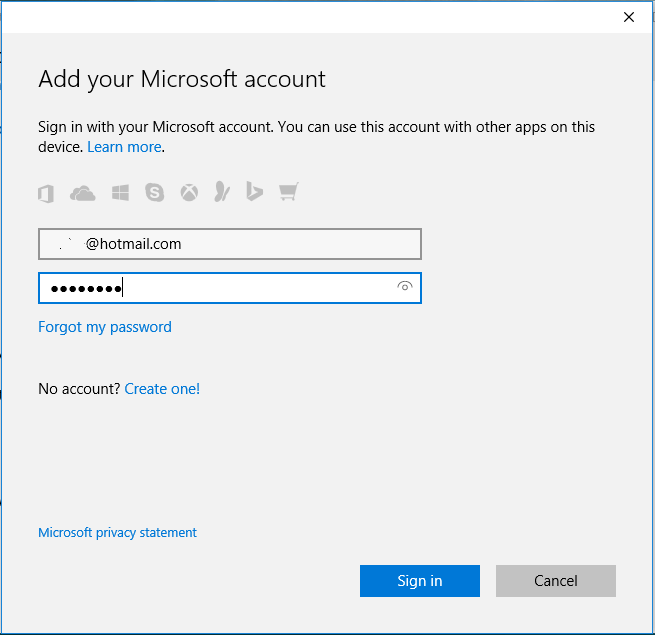 Hit Sign in with a Microsoft account to get started. You’re presented with a Microsoft account login form, identical to how you sign in to Windows with Microsoft account. Enter the login information for your Microsoft Account, and hit Sign in button. If you don’t have any MSA (such as Hotmail, Outlook.com, Windows Live Messenger etc. ), select “Create one!” to create a new account. Note that if you enable 2FA for your Microsoft Account, you need to complete the secondary authentication method. 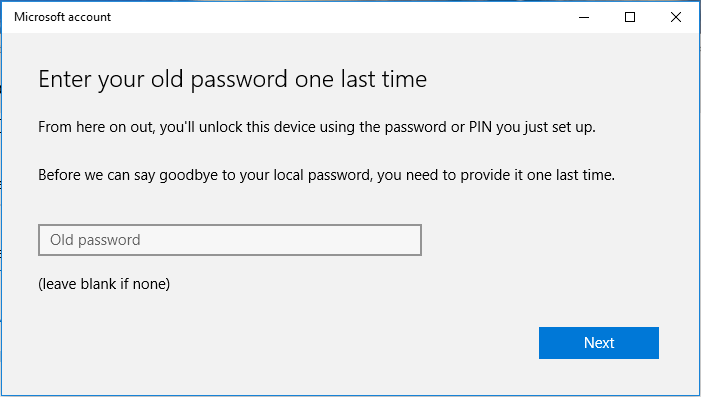 Enter the existing Windows local user account password when you’re asked to enter old password one last time to verify the identity. 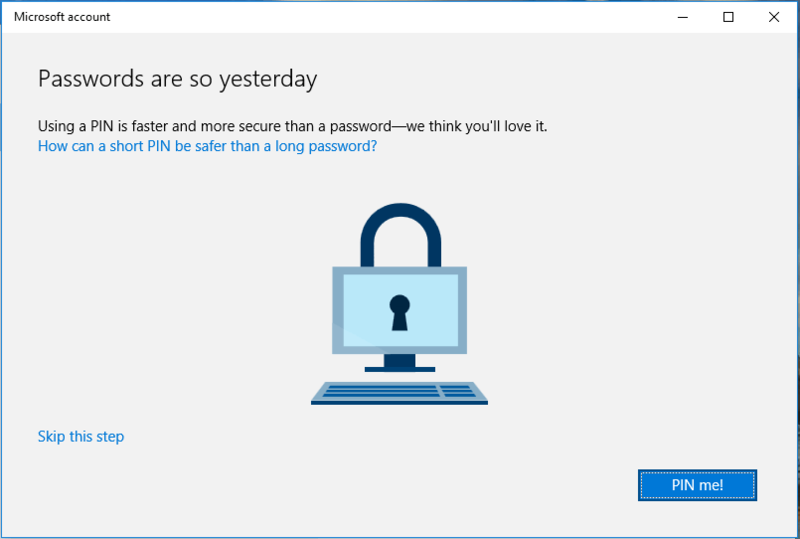 Once you connect a Microsoft account, it will become the primary account and you’ll be using the Microsoft account or a PIN to sign in and unlock the device. Leave blank if your Windows account is not password protected. You now has the option to set up a PIN login. Click or tap PIN me! if you want to logon to Windows with a PIN. Otherwise, hit Skip this step or close the window to end the process. That’s it. You’re now able to receive latest preview builds flight from Windows Insider Program through Windows Update. The status in Windows Update now stated “You’re all set to receive Insider builds”. You can also select “Fast” or “Slow” ring to determine how fast you want to receive the new preview builds. Note that you may need to click or tap Refresh button to update the status.